There was a really cute boy that baked some really good sweets! Chocolate chip banana bread, cookies and s'more brownies... YUM!!! He didn't talk much but had the CUTEST smile! When I asked him if he already tried a brownie, he smiled and nodded yes. I asked him if he wanted another one and nodded yes... his smile never left his face! So I handed him one and then I tried one and they were so good! All you do is layer a pan with whole graham crackers, prepare a brownie mix and pour over top. Bake as the box instructs and when they're done pull them out. Then sprinkle chocolate chips and marshmallows over the top and bake for just a few minutes more! They were so good that I've been craving them since I tried them. I was also craving chocolate chip banana bread, but made that the other day! :) (And it's already gone!) His brownies could have been made out of cement and I would have still thought he did a good job! Kids are so fun at that age and every one I visited with that day did an excellent job on their projects! Another event I helped with was bottle calf judging! 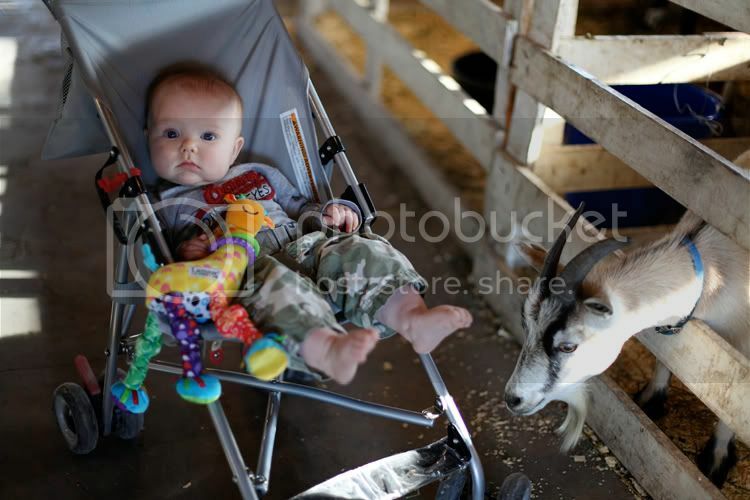 This is a favorite at the fair as parents grandparents, aunts and uncles come to watch their little ones. I especially like it because the kids say the cutest things! I asked one girl what her calves name was and she said "Darnit!" When I asked how she came up with that name, she said "Because my daddy said, 'Darnit, we have a bottle calf this year!' " I asked another girl if there was anything special about her calf that she wanted us to know about and she said, "I put glitter on his hooves." :) And another boy showed his calf Dead Red. 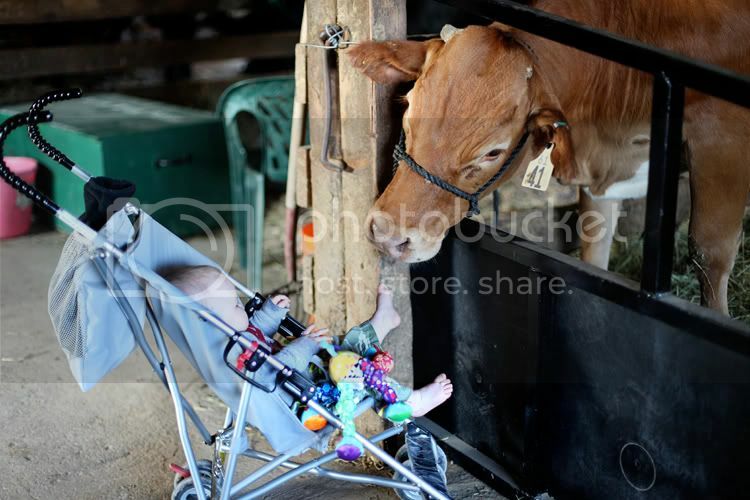 The little boy came up with this calf's name because, "His mom's dead and he's red." Classic. Kids are so honest, aren't they? too cute!!! I dont think I ever told you about the time I was actually a judge for a 4-H fair! Me!!! A city girl! Hehehe. I was working for the city offices one year and we all went out to the county fair, somewhere near to us. They needed help with the judges so my boss told me to do it. I was like...I dont even know what to look for! And she was like, just pick the ones you like best! lol. It was in the pigs area and some others, I can't quite remember. Loooooong time ago! Thats funny Mo! I can just picture you doing something like that!